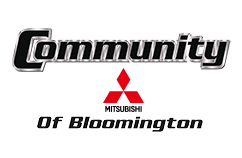 Welcome to Community Auto Group, your go-to automotive group for new and pre-owned cars in the Bloomington, IN area! Our dealership group is home to the very latest cars, SUVs and pickup trucks from ten of today's top automakers, including Chrysler, Dodge, Jeep, Ram, Ford, Chevrolet and more -- all at highly competitive prices! Each of our dealerships also carries quality used cars for sale, including pristine, certified pre-owned (CPO) examples. 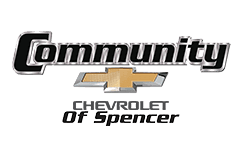 As a network of full-service car dealerships, Community Auto Group features financing, service and parts staff to assist drivers from Martinsville, Spencer, IN and beyond. Explore our website now, along with the site of your Community Auto Group dealership of choice, to discover our complete new vehicle inventory and your auto loan options. 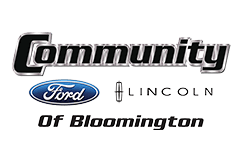 When you shop Community Auto Group, you are sure to find stellar deals on a new Ford, Lincoln, Kia, Mitsubishi or a pre-owned car in the Bloomington, IN area. We serve drivers near Martinsville and Spencer, IN as the area's comprehensive, full-service automotive dealership group. With professional service technicians, parts specialists and helpful finance and sales staff on-site at our dealership, know that you are in good hands! Browse online or visit Community Auto Group's family of car dealerships in Bloomington today. 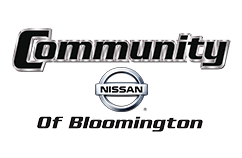 Are you shopping for a new car, truck, SUV or crossover in Bloomington, Indiana? Visit the Community Auto Group to find the best selection of new cars from some of the world's top automotive manufacturers, including Jeep, Ram and Nissan. Check out our massive inventory of new SUVs, pickup trucks and cars for sale online now or come in to get a glimpse in person! 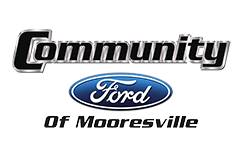 With several new car dealerships to serve you, you're sure to find the perfect new automobile for you at Community Auto Group! 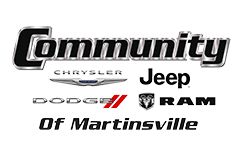 If you are trying to save some hard-earned cash by purchasing a used vehicle near Martinsville or Spencer, Indiana, you can find the pre-owned model you are after at any one of the Community Auto Group dealers. Our notable inventory of used cars offers drivers reliability, safety and savings! Explore them online now or come in to find a pre-owned car, SUV or pickup that meets your needs today. When you shop our website, you can search our used car inventory by body style, price, make and more! If you need to finance the purchase of your new or used car from Community Auto Group, contact our finance department. Our professional finance staff works to find a car loan to fit your budget from several lenders. We work with car buyers who possess less than perfect credit, so do not fret if you have a low credit score or no credit. Get pre-qualified for an auto loan quickly when you use our online auto loan application! 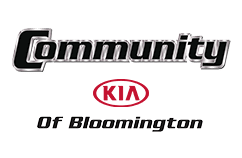 Bloomington area drivers trust Community Auto Group's family of dealerships when it comes to vehicle maintenance and repairs. Our skilled technicians are ASE Certified and factory-trained to service your vehicle in our high-tech service centers. We inspect, diagnose and repair your automobile using the latest, most advanced tools and equipment. Contact our helpful service advisors today or make an appointment for auto service online now. Keep your Dodge, Jeep, Kia, Lincoln or other make of car 100% factory-original with genuine OEM parts. Community Auto Group dealers stock authentic OEM auto parts for a variety of auto brands. Each of our full-service dealerships in the Bloomington, IN area is home to a parts team specializing in a range of makes and models. For your convenience, you can order OEM auto parts for your Chevrolet, Ford, Ram, Nissan or other make from your home or office! Order parts for your vehicle online now! Our group of new and used car dealerships serving the Bloomington, IN area offers a vast array of useful resources to take advantage of online. You can not only find your nearest Community Auto Group dealership, but you can also shop our new and used car specials online! Schedule service with any of our top-quality auto service centers, or inquire about financing or current lease offers and discover the value of your trade. It can all be done online before your visit to our Bloomington area dealers!